Rachmaninoff’s Études-tableaux combine programmatic (storytelling) content with great pianistic challenges for the performer. 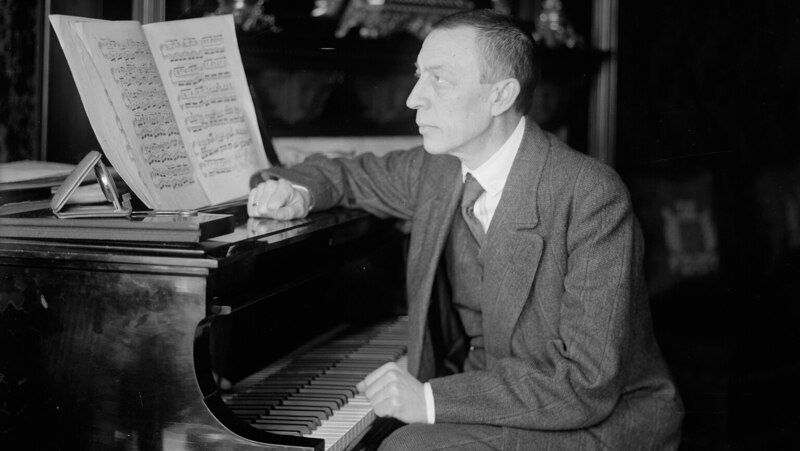 As background, explore Rachmaninoff’s dual life as a composer and a peerless piano virtuoso, and the linking of his musical destiny with the American-made Steinway piano. In the Études, see how Rachmaninoff uses ingenious virtuoso effects, layered rhythms, and sophisticated harmonies to evoke a boisterous fair, a seascape, a funeral ceremony, and a heroic march.